Last year was a celebration of numerous 50th’s and, having foodie friends of course results in doing foodie things! I’m going to share with you two of my favourite weekends and hopefully inspire you to visit these wonderful places and try their exquisite cuisines. 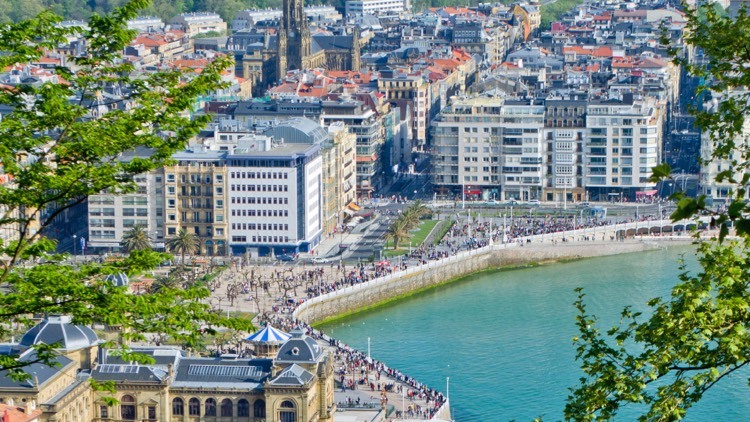 The first trip was San Sebastian, without doubt the foodie capital of the world. I had told my foodie friends what to expect, but they must have doubted me as they were both were blown away, with all the food exceeding their expectations. Go on a guided tapas tour – the culinary choices available in San Sebastian can be overwhelming, going on a tour lets you get the most out of your trip by having a seasoned professional to help guide you through the world of tapas. I always go on a tour and have now been twice with sansebastianfood.com, each time we were hosted by the wonderful Eli. There are numerous 3 Michelin star restaurants, if you feel so inclined. My recommendation is that you go to one for lunch on your first day as it means you can really enjoy the meal. Resistance is futile during the tapas evenings and you inevitably end up eating too much, meaning you might not be in the mood to fully appreciate a restaurant the next day. My second weekend recommendation is Venice. I had no idea that Venice had its own Italian version of tapas, it’s called Cicchetti. It’s only found in Venice and the local area in one of the many Ostaria’s. Its purpose, like tapas, is to eat with friends, standing up, hanging around counters and chatting over a bottle of wine. The difference I found to Spain was that they were basically either bread based (loved the 1/4 sandwiches) or fried based, served using cocktail sticks – less complicated and certainly less varied, but no less tasty and a far better way to get the local feel of Venice. For a day of foodie bliss I recommend a short walk in San Marco district crossing the Rialto’s bridge followed by a visit to the buzzing daily fish market and fruits/vegetables desks. Again my recommendation in Venice is to do a Cicchetti tour, Roberto (Roberto Marin (roberto.marin@hotmail.it ) was fantastic and was able to take us round all the back streets and the little bars that I never knew even existed. Cooks are seen as artists and consideration must be shown to the form of their art. Ribera del Duero red wine (Trus Roble). Antica Osteria Ruga Rialto (aka from elderly people with the former name “alla Letizia”) – Wine: draught “Prosecco” (white wine from Treviso city area). Cicchetti: “polpette di carne” (meatballs); express ready-made “frittura mista di pesce” (fried fish mix).